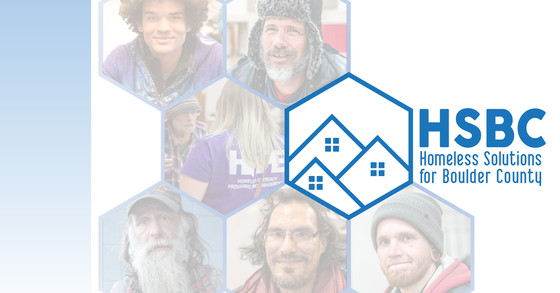 Boulder County, Colo. - Homeless Solutions for Boulder County (HSBC), a collaborative public-private partnership tasked with coordinating and implementing homeless services for single adults across Boulder County, today released its first Annual Report. The report, available online at boco.org/HSBCYear1, provides an overview of the HSBC system response structure and shares key data and learnings derived from this new integrated approach to homelessness in Boulder County. To address the needs of individuals currently experiencing homelessness, HSBC relies on a Housing First model that prioritizes access to housing as the first step in addressing homelessness and recognizes that housing provides a stable platform from which people are better able improve their life circumstances. “HSBC has brought together governmental agencies and nonprofit service providers to ensure a greater level of coordination than we have ever had before, and this report demonstrates how much we can achieve when we break down silos and can work together toward the shared goal of ending homelessness,” said Jennifer Biess, Homeless Services Systems Manager for Boulder County Community Services. HSBC applies evidence-based solutions and best practices to provide adults experiencing homelessness with targeted, responsive services to support quick, stable housing solutions. The primary partners in HSBC are Boulder County, the cities of Boulder and Longmont, and nonprofit partners including the Boulder Shelter for the Homeless and Bridge House Path to Home in Boulder, and HOPE and the OUR Center in Longmont, along with other stakeholders. Nearly 2,500 individuals participated in HSBC’s Coordinated Entry assessment process and were referred to services. Prioritization for more intensive services was given to Boulder County residents and those with the greatest need. More than 380 individuals—or 15% of all clients assessed—received assistance and transitioned out of the shelter system, including 188 who moved into housing of their own. Nine of these clients who are now housed through City of Boulder permanent supportive housing vouchers had stayed a collective 4,100 nights at the Boulder Shelter for the Homeless, had a total of 1,250 jail bed nights, and averaged 20 ambulance trips to the emergency room every year. 66 new rental assistance vouchers became available to make housing more affordable, and 82 housing units are being added to the affordable housing stock. Gains were made by seeking competitive federal and state grants, contributing local funding, and by pursuing creative partnerships. Organizations involved in these efforts included Boulder County, City of Boulder, Boulder Housing Partners, Boulder County Housing Authority, Boulder Shelter for the Homeless, Bridge House, Congregation Har-Hashem, the Inn Between of Longmont, and Mental Health Partners. HSBC staff also led a number of collaborative grant writing efforts. One led to a $2.4 Million award for supportive services to support HSBC clients in obtaining and maintaining stable housing from the U.S. Department of Health and Human Services. The annual report also highlights the work that remains to be done. In Boulder County the costs of housing have increased dramatically over the past ten years. As an example, more than half of all renters in the county currently spend 30% or more of their income on housing. The Boulder County Regional Housing Partnership is just one of the major initiatives the county is helping lead to triple the affordable housing supply in the area. In the future, HSBC will support BCRHP in the creation of new and preservation of existing affordable housing opportunities in the area and bring additional rent and service supports online for some our community’s most vulnerable members. Additional information about Homeless Solutions for Boulder County can be found at boco.org/Homeless. Questions about HSBC can be directed to Jennifer Biess at 303-441-1417 or jbiess@bouldercounty.org.